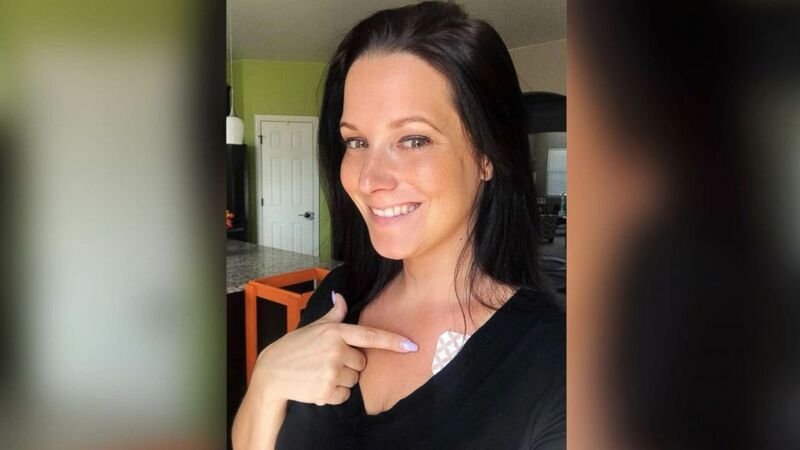 Chris Watts had initially said his wife, 34, disappeared without a trace. Prosecutors released discovery documents on Thursday in connection to the murder case against Chris Watts, the Colorado man sentenced this month for killing his pregnant wife and their two toddlers. The release included photos, text messages and video of the moments after Watts killed his wife, Shanann Watts, 34, and daughters, Celeste, 3, and Bella, 4, in August at the family's home in Frederick, Colorado. In a video recorded by a neighbor's security camera, Chris Watts is scene loading items, including a red gas can, into his truck the morning after the murders. Authorities believe he use the truck to dispose of the bodies. 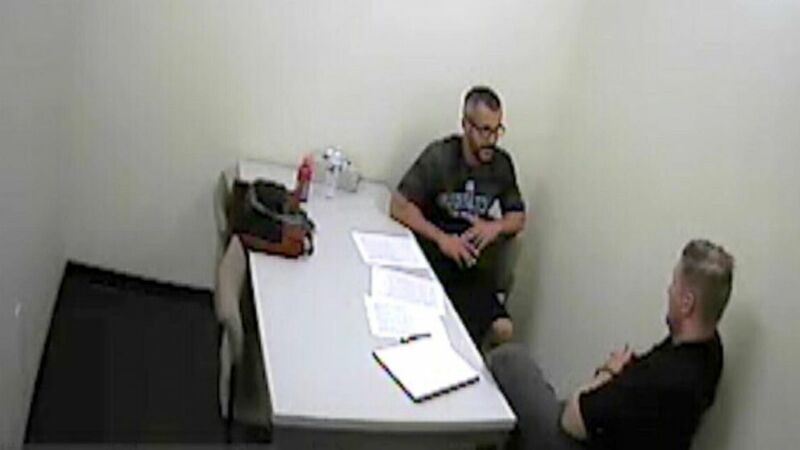 (Weld County District Attorney's Office) Chris Watts speaks with investigators after being arrested for the murder of his wife and two children in police surveillance released, Nov. 29, 2018. Watts pleaded guilty to all three killings after initially telling police he’d strangled his wife in a rage because she killed their children. "My babies are gone, I put my hands around my wife's neck and did the same thing," Watts said during his confession. "I just felt anger. Nothing, I didn’t feel anything." He had said his wife murdered the children because their marriage was imploding, but investigators concluded that he killed all three of them. "I was scared. I didn't know what else to do," said Watts, after telling investigators he buried their bodies in a remote oil field. Shanann's body was discovered in a shallow grave, and the childrens' were found in oil tanks, court documents show. "When I came home and then walked in the house, nothing. Vanished. Nothing was here," he told KMGH-TV at the time he said his wife went missing. "My kids are my life. ... I mean, those smiles light up my life." Watts was sentenced to three consecutive life sentences without parole on Nov. 19. Shanann Watts' parents sued Christopher Watts for her wrongful death after his sentencing, seeking funds to cover funeral expenses, the loss of their daughter's future income and compensation for emotional distress.